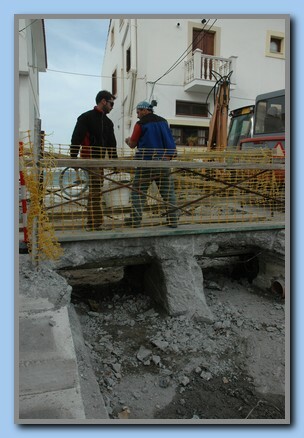 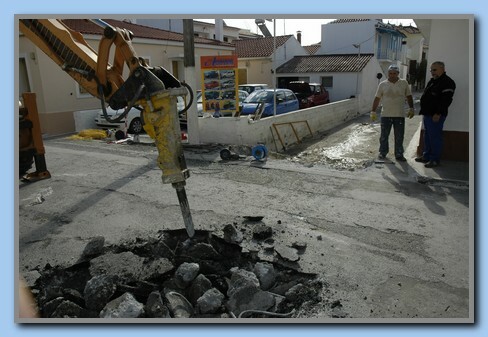 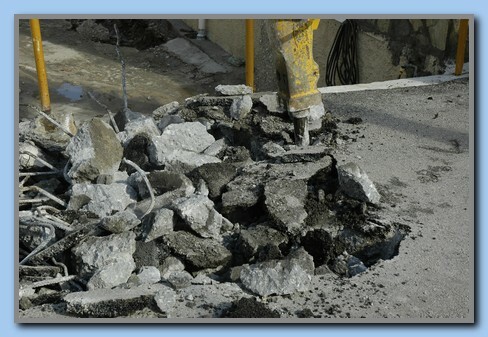 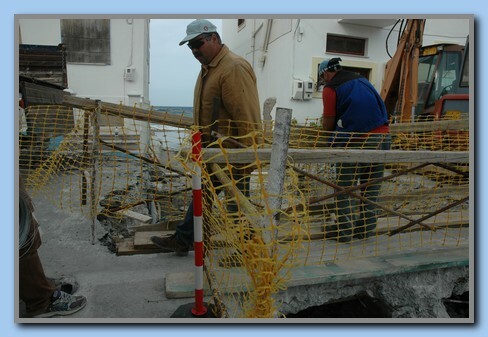 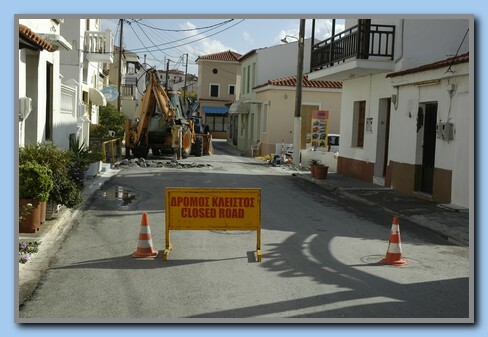 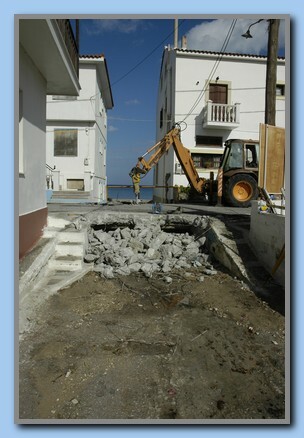 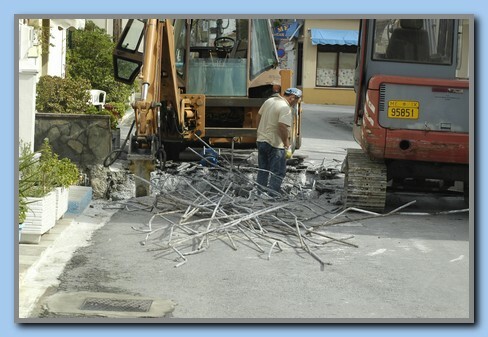 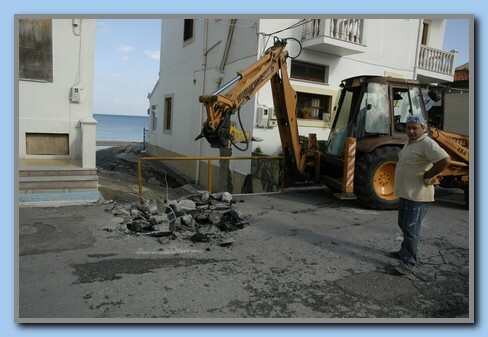 Road work in Kokkari 2010. 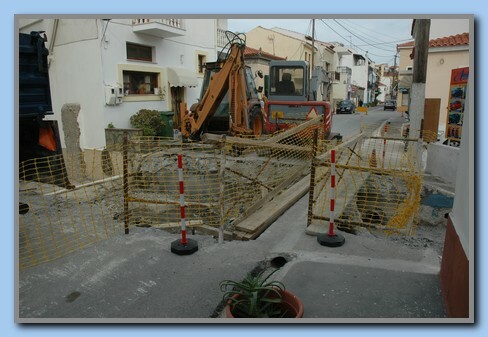 The traffic through Kokkari is for the moment highly reduced. 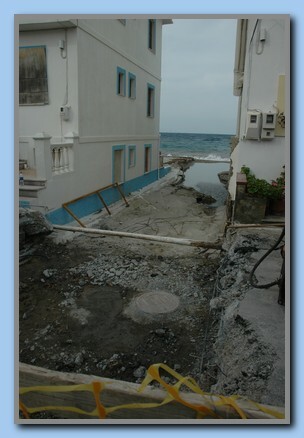 In periods with lots of rain a lot of water from the mountain south of Kokkari is led to the sea through 3 water channels. 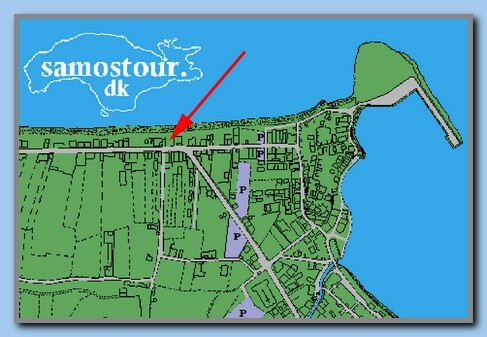 These channels passes under the main road and one of them gives problems every year due to too small height - it is blocked by branches and other things and the result is that several houses along the channel are every year are flooded. 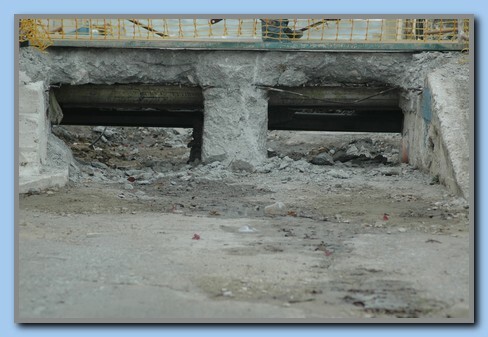 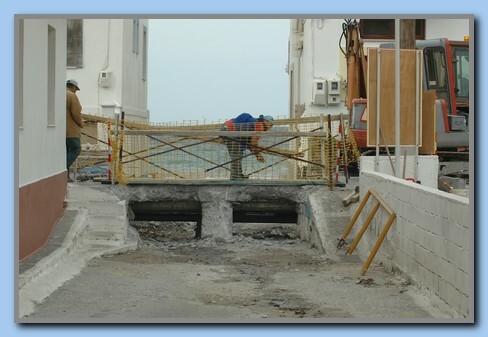 Now they will build a new bridge over the channel with about 70 cm more free space below. 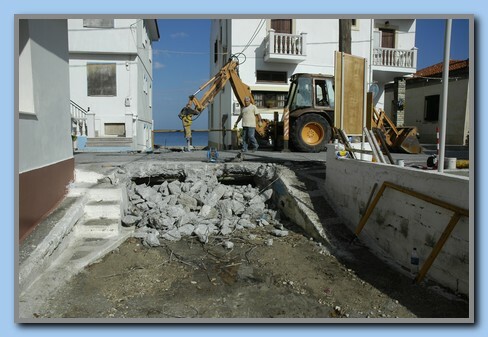 The work is planned to be done in 20 days. 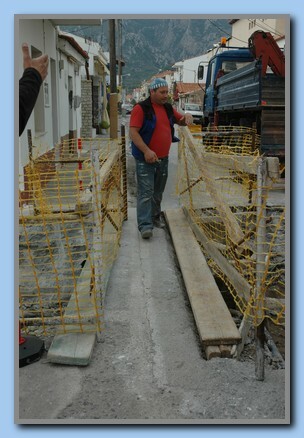 We will continue updating this page with new pictures. 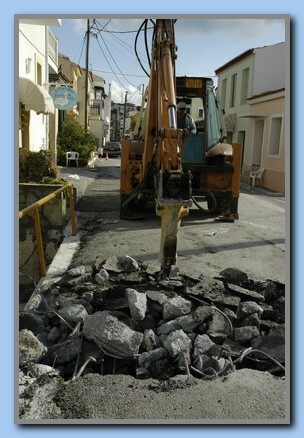 Here the problem is visible.